On August 8, 1969, President Nixon laid out his domestic policy vision for America. He in particular took aim at the Welfare State, saying that “it brought cities to financial disaster” and had enormous social costs, breaking up homes, penalizing work, and robbing recipients of dignity. On this edition of the podcast, we discuss this subject with John R. Price. Price is a graduate of Grinnell College and Harvard Law School. He is also the recipient of Oxford University’s prestigious Rhodes Scholarship. He was the president and CEO of Federal Home Loan Bank of Pittsburgh from 2006 to 2010 and earlier, a managing director of Chase Manhattan Bank in New York. He is currently at work on a book about President Nixon’s stance on political and public policy issues. – The origins of Nixon’s domestic policy. – Who was Daniel Patrick Moynihan. – How contrary to conventional wisdom, Nixon and Moynihan were not a political odd couple. – The Welfare State in the 1960s and 1970s. – The plight of the working poor. – What was the Family Assistance Plan. 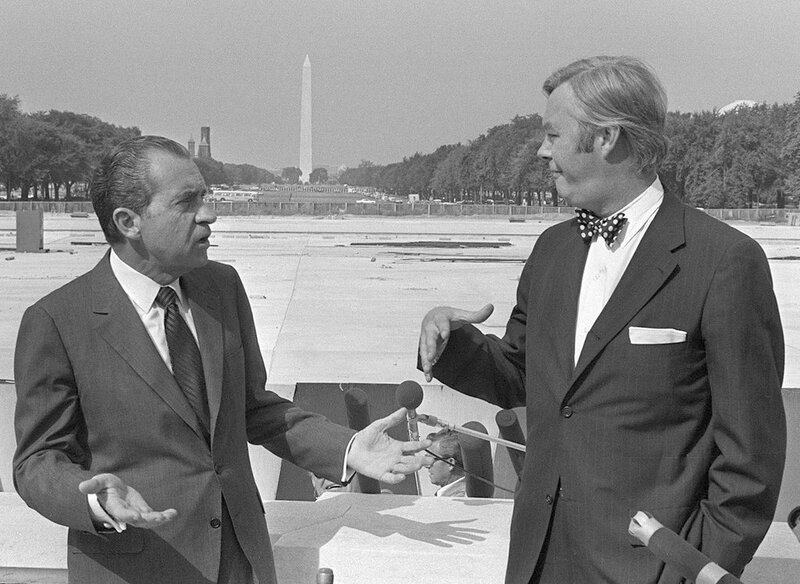 Photo: President Nixon with Urban Affairs Advisor Daniel Patrick Moynihan in 1970 (AP).